We have bone grafting for sinus lift procedures. If you have a thin sinus wall you can’t have dental implants. Some roots of your upper natural teeth extend into your maxillary sinuses. If these upper teeth are gone only a thin wall of bone is separating the maxillary sinuses and your mouth. Bone grafting for sinus lift procedures will correct this problem. Dental bone grafting for sinus lift procedures lifts the sinus membrane. Donor bone is put into the floor of the sinus. The bone fuses to your jaw over several months of healing. Now dental implants can be placed and stabilized. Don’t let dental bone loss or your sinus wall stop you from getting a great smile and new teeth. Ask about bone grafting for sinus lift procedures. It’s your turn to enjoy the benefits of a sinus lift procedure. One benefit of a sinus lift is it reduces chances of any damage to your sinuses. A sinus lift provides regrowth of new bone to replace any lost bone. A sinus lift procedure won’t affect your ability to breathe or your allergies. Another benefit of a sinus lift is it replaces any upper back teeth. The sinus lift replaces lost bone, so you can have dental implants if needed. Fight periodontal disease today. Contact us about the benefits of a sinus lift. Enjoy the smile and dental health you deserve! 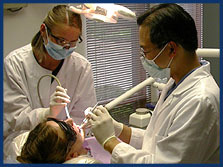 Contact SeaTac Family Dentistry or Port Orchard Dental Artistry today.